Halloween comes every 365 days, that’s a fact! Except maybe in a Leap Year but that’s too much math for me. 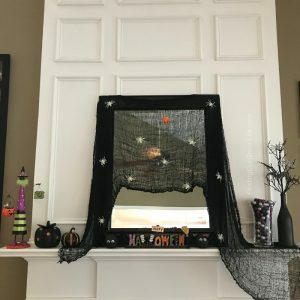 Why is it, I can’t ever plan far enough in advance to actually get some nice Halloween decor items and not be scrambling at the last minute. I’ve never been one to put up decorations more than about two weeks before a holiday but by the time I’m ready, there’s nothing left in the store that I want. 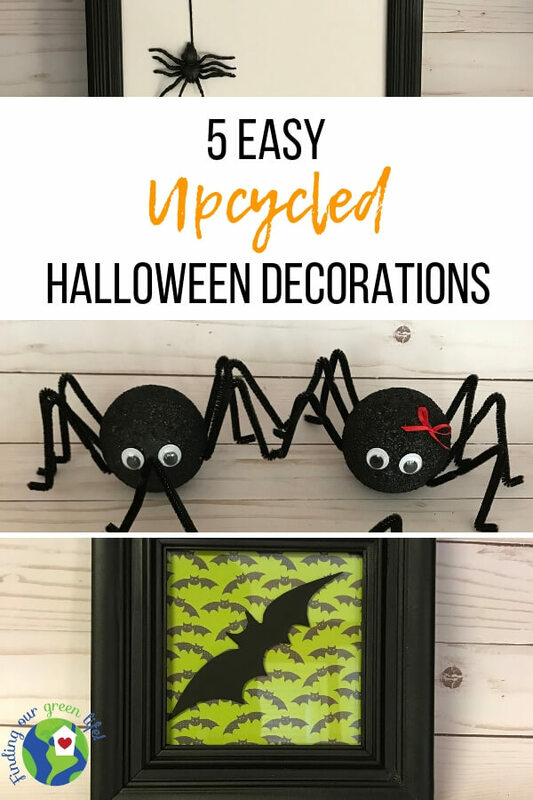 This is why upcycled Halloween decorations are just my speed. I find myself turning to Pinterest to see if I can make something out of what I’ve already got laying around. Pinterest never disappoints, does it!?! Come follow me to see all the awesome things I find. 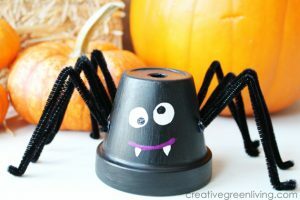 We’ve all got random cans of paint, paintbrushes, pom poms, googly eyes, picture frames, scrapbook paper, pipe cleaners, etc laying around the house from all those well-intentioned projects that never got started or completed. I keep mine in a box. The other day I had the box out and my daughter started playing with some of the things in there. She has such a creative mind, she did not get that from me! Several years ago, I found a bunch of different projects on Pinterest that I wanted to make. I’m cheap and I like to recycle/upcycle so I went to Goodwill. I bought a bunch of picture frames, like 10 or so for under $15 and a can or two of spray paint. I made one or two things and then lost interest. So now I’ve got a bunch of frames and spraypaint. I had also invested in some new books of scrapbooking paper, who can turn down a 50% off coupon at Michaels? Although seriously, is there ever anything in that store that’s not on sale!?! 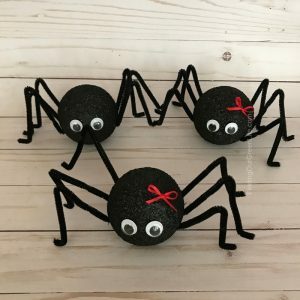 I’m channeling my inner crafty self and am going to take those things and my craft/junk box and make some upcycled Halloween decorations! 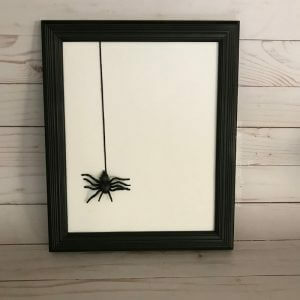 Halloween decor can be as easy as spraypainting a frame black and putting a free printable or piece of scrapbook paper in it. 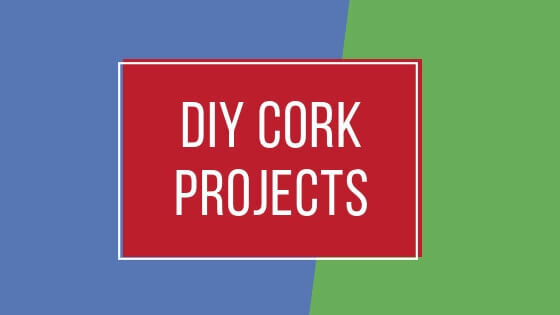 That’s my kind of DIY so you won’t be surprised at these “projects” I made. All for probably less than $5 a piece and probably taking under 15 minutes each. Disclaimer: These are affiliate links. 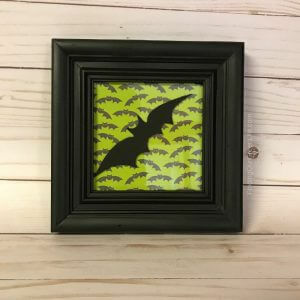 Any purchase you make by clicking these links will earn me a small commission but will not cost you anything extra. Please see my Disclosure page for more details. Looking for some inspiration for your next Halloween costume? My friend Kayla Kamp shares a bunch on her blog, Ever Change Productions. I especially love the bat wings made from an umbrella. 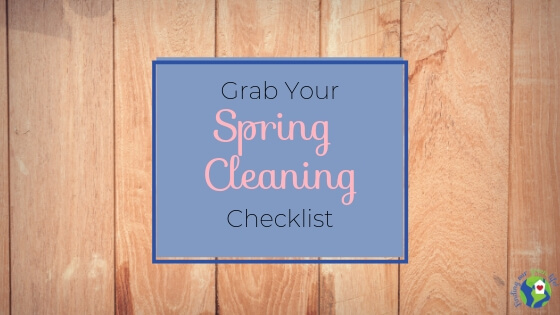 You’ve got to check it out. Do you have a box of odds and ends craft items that are dying to be made into something great? Share your creations on my Facebook page, I love to be inspired.